This year’s edition will feature a Christmas Tree and upstairs decorations created by the award winning designer BASIA ZARZYCKA. 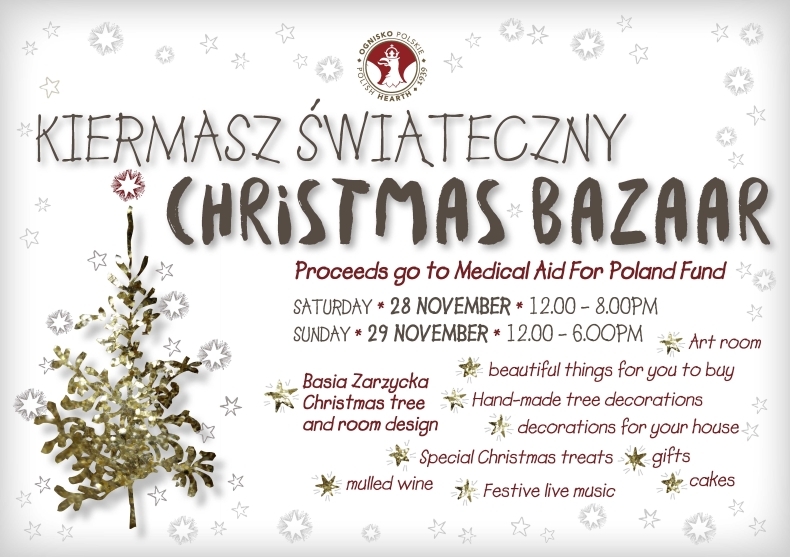 There will be a competition for children from Polish school for hand-made decorations with prizes given to the winners by Rula Lenska. The decorations made by the children will be for sale. There will also be festive live music and special Christmas treats from the restaurant. You can buy presents for Christmas, decorations for your house and tree, stationery, artwork, beautiful things for you and your friends. 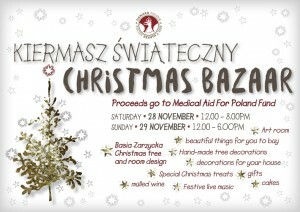 All proceeds go to Medical Aid for Poland Fund. We hope to see you there! More info available at here. New Year’s Eve at Ognisko!